New Balance Sneakers have evolved to be used for casual everyday activities. 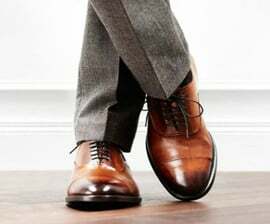 The footwear is made with a flexible sole made of rubber or synthetic material and an upper part made of leather or synthetic materials. Examples of such shoes include athletic footwear such as: basketball shoes, tennis shoes, cross trainers and other shoes worn for specific sports.